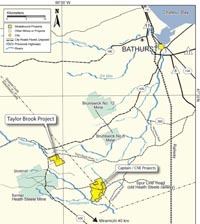 The Company and Bandera Gold Ltd. ("Bandera") entered into an option agreement whereby Bandera can earn an 80% interest in the Taylor Brook Property in the Bathurst Camp in New Brunswick through exploration expenditures, the assumption of the Company's work and payment obligations relative to the Taylor Brook claims and the issuance to the Company of shares of Bandera. To date, the Company has received 1,000,000 shares of Bandera, and Bandera has completed a $43,000 drill program satisfying the 2016 work requirement. 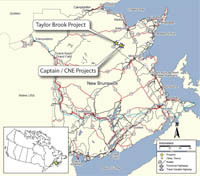 To maintain and complete the exercise of the option Bandera will complete $500,000 of exploration expenditures, including the payment of annual fees and taxes, at the Taylor Brook property by the third anniversary of the agreement and will issue an additional 1,000,000 shares of Bandera to the Company. Upon Bandera's exercise of the option, the Company will have the election to enter into a joint venture with Bandera or to convert its remaining interest to a net smelter return royalty. The Taylor Brook deposit consists of an extensive blanket of pyritic massive sulphides located 11 kilometres northwest of the CNE Deposit and 6 kilometres northeast of the 25 million tonne Heath Steele Mine. As currently known this sub-economic deposit has a strike length of approximately 650 m and a down-dip extent of greater than 600 m. It comprises one to four stratabound horizons of heavily disseminated to semi-massive and massive sulphides. Width and grades of the base metal mineralization are highly variable within the sulphide zone. Most of the intersections grade less than 3% lead and zinc although several narrow high grade intervals (e.g. 1.0 m. of 10.7% Zn, 2.2% Pb and 5.2 oz/ton Ag in Hole TB95-2) have been encountered. 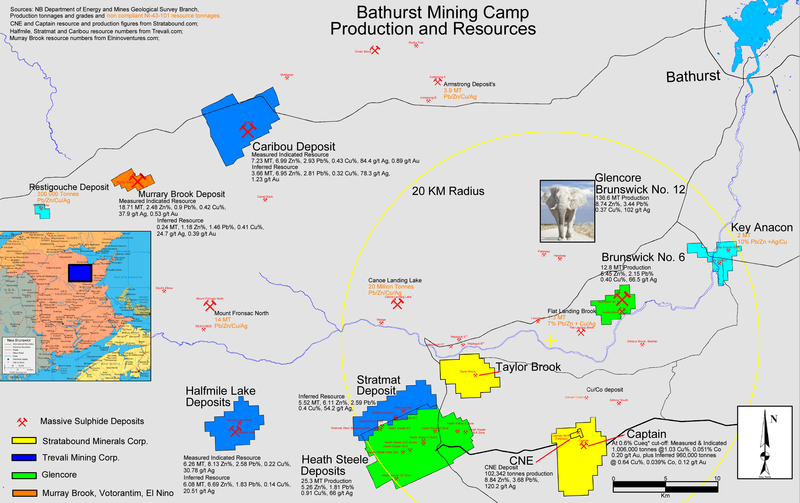 The lead, zinc, and copper ratios are consistent with those from other deposits in the Bathurst Mining Camp.